The search in the occupied Crimea in the house of Crimean Tatar activist Nariman Memedeminov began around 6 o'clock in the morning, activist of the human rights organization Crimean Solidarity Gulsum Aliyeva told the QHA. The activist noted that the street where the search was being conducted was cordoned off and it was not allowed to approach the house of Nariman Memedeminov close. “They cordoned off the street, so, they did not let anyone approach the house, it was not known what was happening and on what grounds they came to Nariman. The search took them about three hours, after which they took him immediately to the FSB," she said. Gulsum Aliyeva stressed that the security forces did not leave a copy of the protocol to the activist's wife. The activist added that the security officials conducted a rude search. “According to the wife, the search was tough. They allowed themselves to use obscene language, insults. They did not let the family get up properly, get dressed, they frightened the children. He has three underage children in the house," she noted. Activist Seytumer Seytumerov on his Facebook page added that when security forces broke into the house of Nariman Memedeminov, his wife fainted and an ambulance was called for her. Reportedly, the FSB in the occupied Crimea filed a case against the detained activist and blogger Nariman Memedeminov. The Crimean Tatar is suspected of "public calls to carry out terrorist activities". QHA reported that, a search was conducted in the house of Nariman Memedeminov in the village of Kholmovka in the Bakhchysarai district this morning. Security forces cordoned off not only the house of the activist, but the whole street, and after the search, they took Memedeminov to Simferopol. 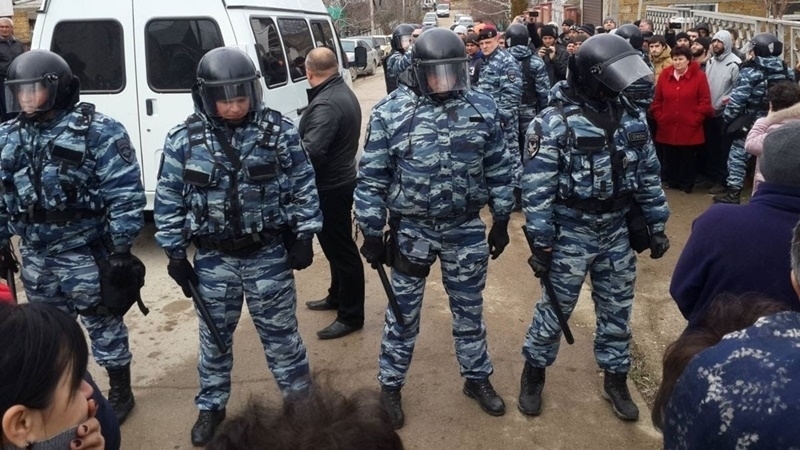 Earlier, the security forces already searched the house of the Crimean Tatar on February 11, 2016. Then the activist was fined 10 thousand rubles.